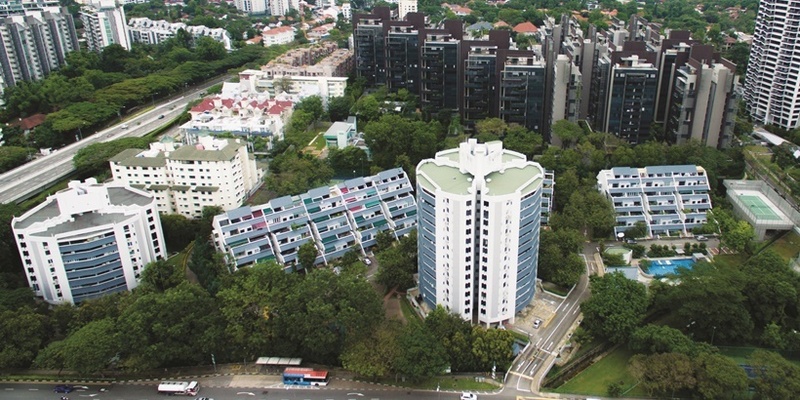 The Tulip Garden condominium at Farrer Road has made headlines for being the second biggest collective sale to date this year, following the $980 million en bloc sale of Pacific Mansion in March. According to marketing agent Colliers International, the freehold property was purchased for $906.9 million by Asia Radiant – a joint venture between MCL Land, a unit of Hongkong Land Holdings and China’s Yanlord Land Group. This also represents the second highest premium achieved for a residential collective sale to date this year as the purchase price is 20.4 percent higher than the reserve price of $753 million. Completed in 1985, Tulip Garden comprises 162 units of apartments and maisonettes as well as two shop units spread across five blocks. Unit sizes range from about 1,701 sq ft to 3,412 sq ft. Depending on the size of the property, each owner could receive between $4.3 million and $7.6 million from the successful sale. Incidentally, three previous attempts at a collective sale failed. Based on its land area of about 316,708 sq ft, the purchase price works out to $1,790 psf per plot ratio (ppr), which exceeds that of recent en bloc sales in the vicinity, noted Colliers. The nearby Hollandia, The Estoril and The Wilshire were previously sold collectively for $1,703 psf ppr, $1,654 psf ppr and $1,536 psf ppr, respectively. “Despite a spate of collective sale deals done in the Holland Road area in recent months and a large slate of redevelopment sites on the market, the tender for Tulip Garden still attracted very keen interest – a testament to its excellent locational attributes,” said Colliers International managing director Tang Wei Leng. Colliers noted that the property is located close to Farrer Road MRT station on the Circle Line as well as commercial amenities in Holland Village and Dempsey Hill. Its large contiguous land area also offers greater flexibility in planning the new residential project, and will provide ample space for many facilities. “Large plots in prime central locations are rare and Tulip Garden provides an opportunity for the developer to capitalise on the upturn in the high-end homes segment,” said Tang, adding that residential prices in the Core Central Region are expected to grow by 10 percent for the whole of 2018. Under the 2014 Master Plan, the site has a gross plot ratio of 1.6 and maximum building height of 12 storeys. No development charge is payable. “The successful acquisition of this prime site marks our inaugural venture into the Singapore property market. As a key global financial centre, Singapore’s residential market presents a good value proposition for developers seeking to develop additional growth opportunities,” said Yanlord’s chairman and CEO Zhong Sheng Jian. The new project is slated to be completed by 2023, and could potentially yield 670 units.